We offer delivery, setup and operation of equipment. Projector rentals. Large projection screens. Flat screen tv rentals. 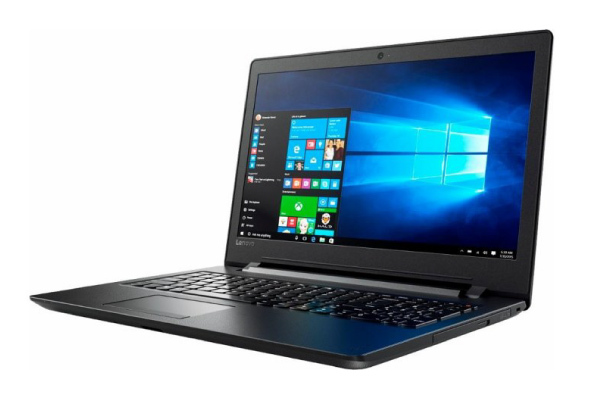 Event-ready laptops & more. We have video equipment rentals for any size event or meeting. With over 1200 events, and counting, take the worry away and know, with confidence, everyone will see your presentation, video, photo slideshow, website or whatever else you need displayed. With our updated rentals and av experience we will be sure your presentation or video is big enough and crystal clear for everyone to see. Check out our event photos page to get a better understanding of what we can do for you. We will come out and setup up the equipment and, if requested, stay onsite to operate the equipment during your event. 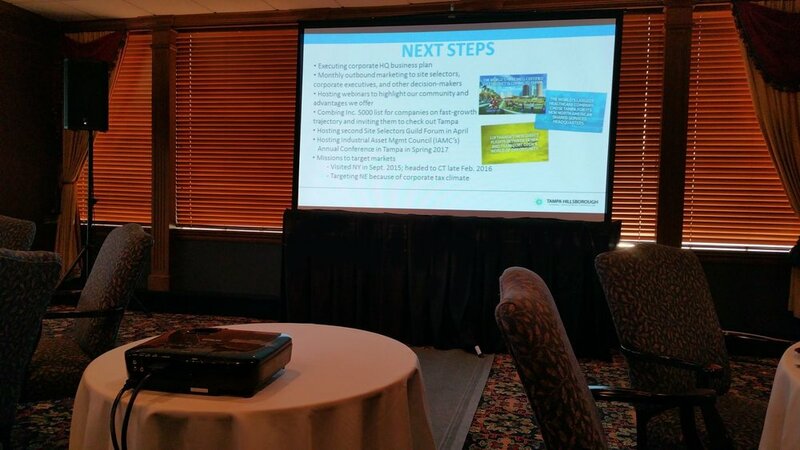 We provide our av services and rentals to any hotel meeting space, event venue or placed of business. 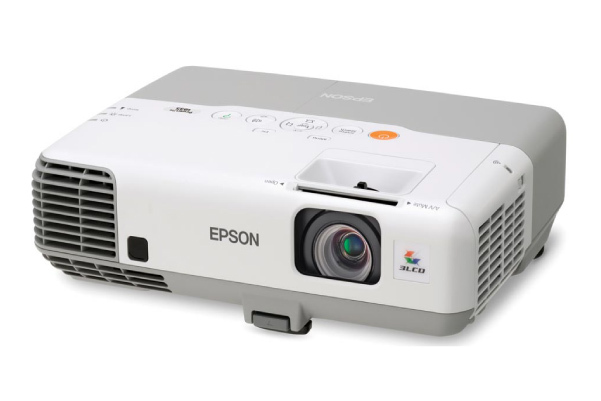 We carry a full line of projector rentals to meet your needs. Our projectors are up-to-date with the latest connections to easily attach to your laptop or any other device you have. For a small business meeting in a hotel conference room to a large event in a banquet hall, we have have the projector you’re looking for. 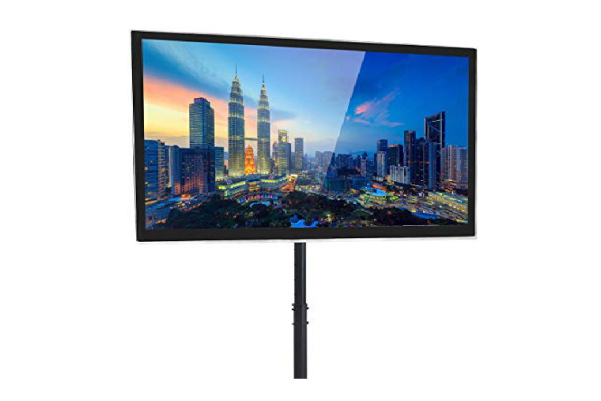 Our HD flat screen tv rentals are perfect for small-to-medium sized groups at a business meeting, training seminar, dinner event, wedding rehearsal or trade show. We offer all size TV's - 42-Inch up to 75-Inch. Place the TV on our adjustable floor stand & your event/meeting instantly has a professional and updated look to it. Visual Advantage carries a full range of projection screen rentals for any size group or event. We carry smaller tripod screens, all the way to large event screens with pipe & drape to go around. The screen size you need most likely depends on the number of people needing to see it. For more info or help deciding, please contact us. Our laptop rentals are constantly updated & have all the software needed to run a presentation. For large events, where one of our onsite AV techs are needed, we can provide multiple laptops for the show/production. They can play photo slideshows, videos & powerpoint presentations. We also carry music laptops for your event with over 19,000 songs for whatever your event requires. We carry all the necessary equipment to ensure what you're presenting is shown on multiple projection screens or multiple flat panel TV's. When your event is large & you are thinking you might need more than one screen or TV, please contact us so we can help point you in the right direction. 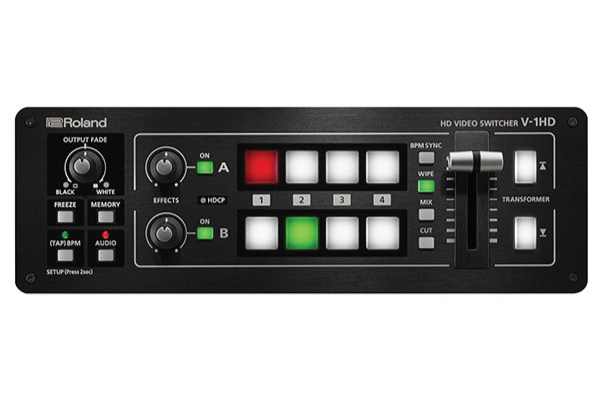 These production switchers allow you to show the same video or presentation on up to four devices (projectors or flat screen tvs). Our Roland switchers can take up to four laptops for complex events where switching is required. Be sure you presenter can see what is being displayed on the projection screen(s) or flat screen tv(s). With a monitor placed if front of the presenter, they do not have to turn their head to see what is being shown. Our comfort monitors range from 42 inches to 48 inches. Perfect for large events. Prices vary depending on size of monitor. We have worked with Visual Advantage for many, many years. They are always the utmost professionals. We do not call anyone else for our AV needs. We have had hundreds of events with Visual Advantage and they have never let us down! Reliable Rentals. Plenty of Options. Our up-to-date, professional-grade projectors and LCD TV's always give your a guests, co-employees, customers or any one else in the audience a bright and crisp view of what needs presenting. If you have a PowerPoint, corporate video, website launch, etc and need it large enough for your audience to see, we have every possible solution. Large and small projection screen rentals, bright projectors, 42-Inch up to 75-Inch flat screen tv rentals, presentation laptops and more. And we offer the important customer support services for you event. Delivery, setup, operate the av equipment during your event, pre-event site visits and more. Need More Than Video? Sound, Lighting, Pipe and Drape, Podiums and more. We carry much more than video equipment rentals for your meeting or event. If you need additional AV equipment such as microphones, sound system or lighting rentals, we can help you out. 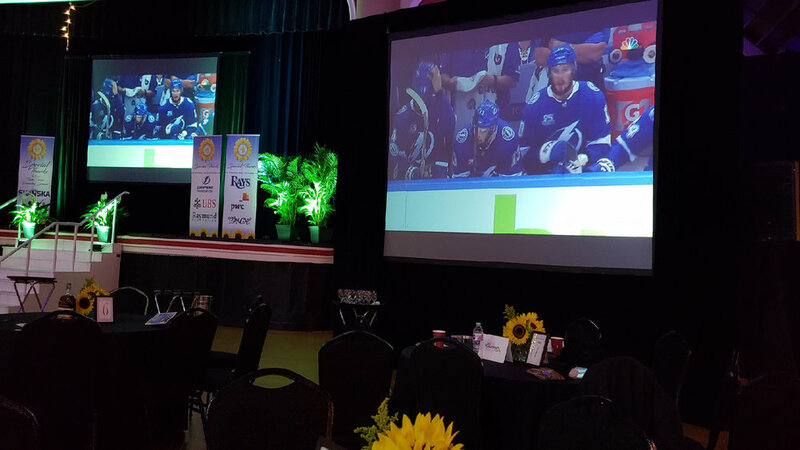 Visual Advantage has been providing reliable, up-to-date av rentals and services to the Tampa, St. Petersburg, Orlando area since 2001. We have an outstanding reputation for giving our clients the correct equipment needed, ensuring your message is seen & heard by everyone. If you know what you want to get accomplished but are not sure what you need to make it happen, please don't hesitate to contact us. To see our audio, lighting or staging rentals click on our audio visual equipment rentals link.